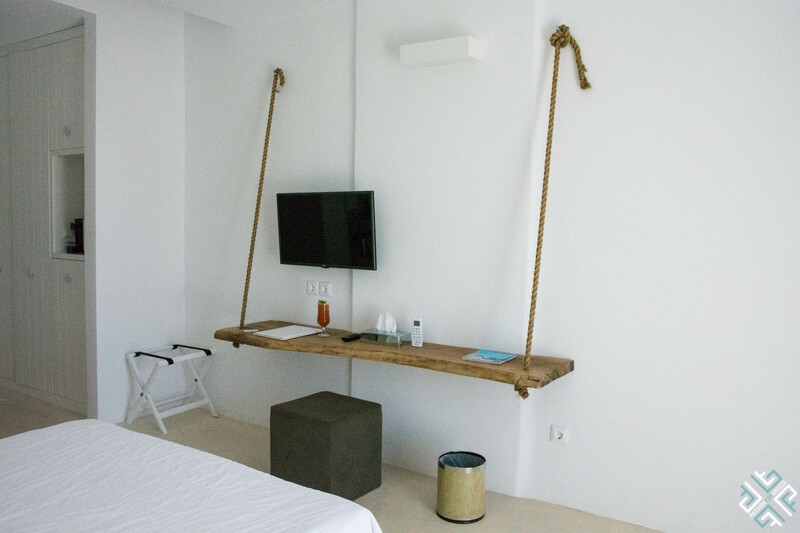 This new boutique hotel proudly wears Cycladic heritage on its sleeve. Whitewashed Cycladic-style architecture, wood and minimal decorative objects add a touch of a homely feeling at this luxury boutique hotel on Mykonos. 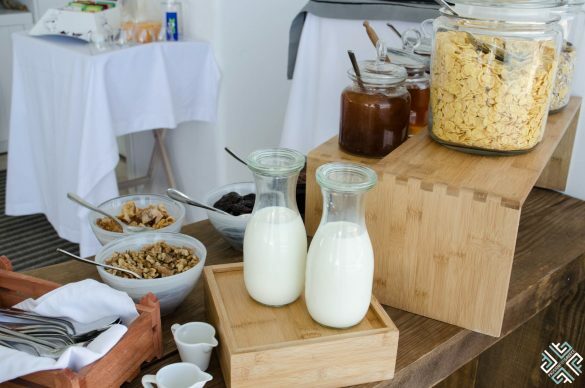 Situated in Drafaki, east of Mykonos Town and at close proximity to the airport, Livin Mykonos joined the Mykonian hotel scene in 2016. A quite boutique hotel, ideal for those who wish to take a break from the haute life. An inviting pool takes central stage where you can spend the day lounging under the sun while sipping refreshing summer cocktails. It is the perfect spot to savour the brilliant hues of the golden hour and watch the sun descent towards the horizon. The friendly staff is there to assist you with anything you might require. 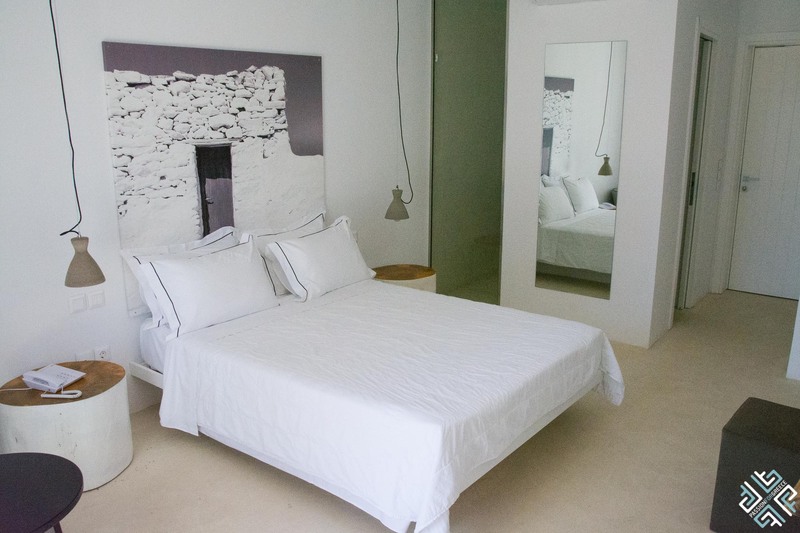 Livin Mykonos presents its guests with a choice of 26 guest rooms and suites completed in earthy, beige and grey tones. We stayed in a Superior Double room located on the ground level with access to a private balcony. The room was 25 sq.m. with a double bed, and a black-and-white photograph decorating the back wall. The bathroom has a glass shower cabin with a waterfall shower which is visible from inside the bedroom. There is a minibar and an espresso maker. Wi-Fi is complementary throughout the hotel. The hotel has one restaurant which is located by the pool. It serves breakfast, lunch and dinner as well as snacks and coffee by the pool. The Mediterranean menu has a strong emphasis on the fresh products and raw ingredients sourced locally. Everything we had on the menu was excellent and the prices are moderate. 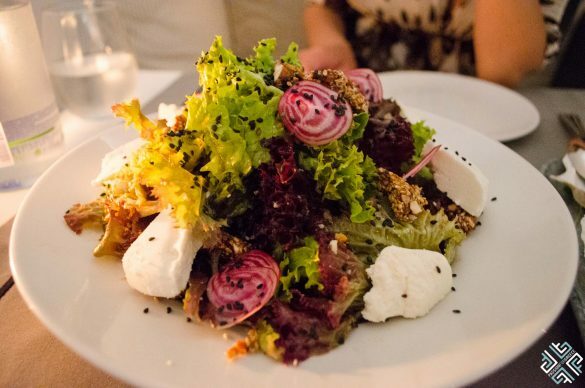 For starters we had a Green salad with balsamic vinaigrette sesame and honey bar, topped with a sour Myconian cheese. My friend and travel partner Marissa (Travel Greece, Travel Europe) had penne with chicken and vegetables. 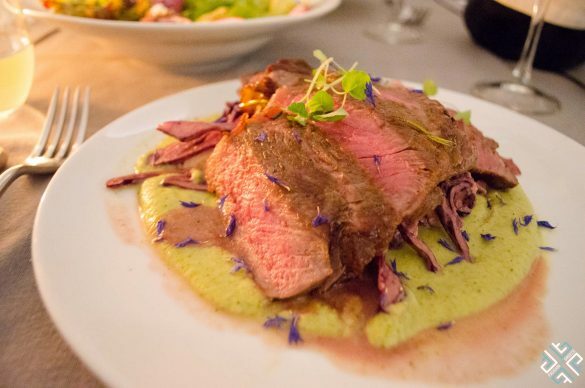 I went for a Rib Eye served with broccoli puree and radicchio salad with gorgonzola. It was very well prepared. We finished off the meal with lemon mousse meringue which the Chef prepared for us in front of our table. Breakfast included a selection of eggs and meats, cereal, seasonal fruit, fresh pastries and Greek yogurt with honey. 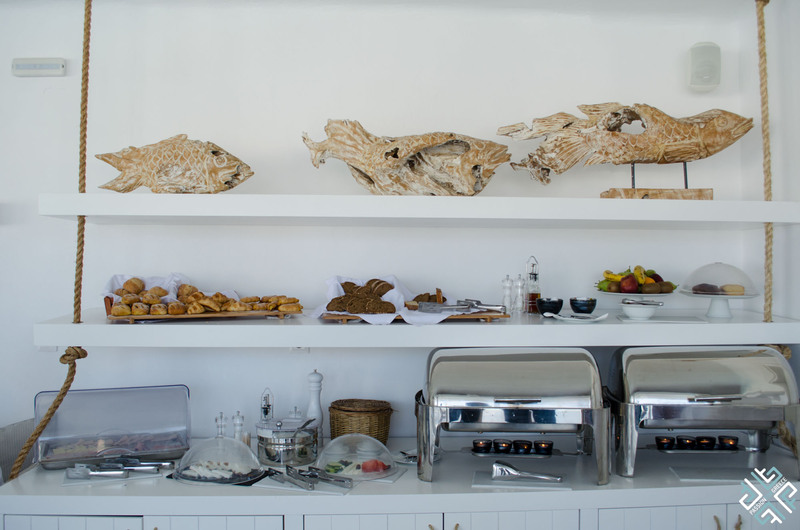 Livin Mykonos is located a 20-minute walk from Mykonos Town where guests can enjoy the bustling nightlife. There are many shops and restaurants in Mykonos Town as well as the landmarks such as the Windmills of Mykonos and Little Venice. 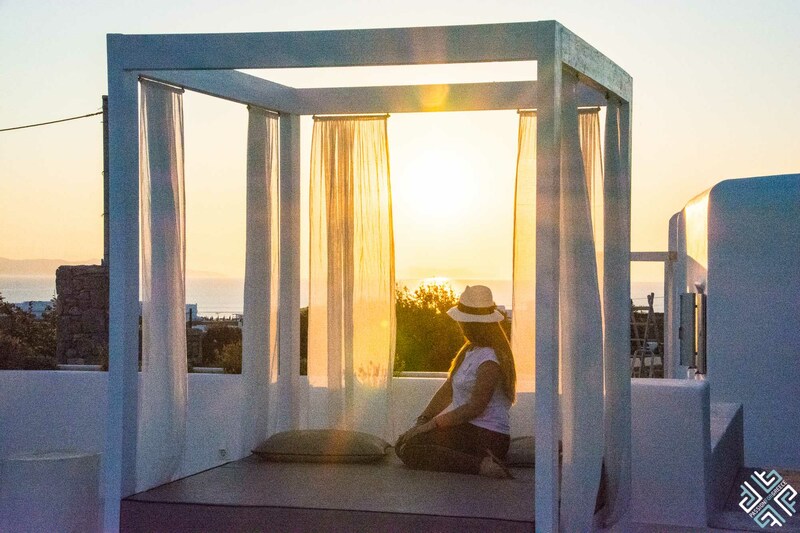 Passion for Greece was a guest of Livin Mykonos. All opinions expressed are my own.